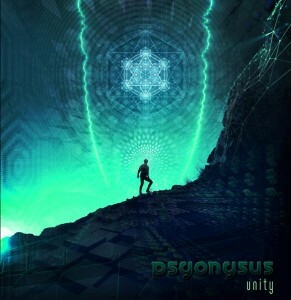 Unity the debut album from producer Psyonysus based in Jersey, U.K. Featured here is a journey of melodic soundscapes, moving through driving progressive grooves into something more psychedelic and full-on before boiling over into something deeper and more downtempo. Written and produced by Linz Kirk with djembe on track 4 by Paulo Oliver. Mastering by Colin Bennun @ The Stooodio. Artwork by Point Zero Productions. MP3 Download | FLAC Download | WAV Download · Download count: 11,015.
what a great piece of work! thank you! Wow amazing, thanks so much! Wireless energy transfer completed. Very nice. This is exactly what I need for today. It´s the year of progressive psytrance. Loving this, real journey, thanks! Thanks every one for your comments. Also big thanks to sephira for all the help with mix-downs and advice. Fantastic work dude, especially love track 7, easily one of the best stompy psy tracks I’ve heard in a long time! Tipped off to this release via VKRS. Great, great stuff! Loving this release. Thank you. One of a best releases here. Love the variety of BPM, makes the album sound like one big story, not just 8 separated tracks. Brilliant release, just brilliant! This is Rad! Youre awesome. This is a hell of a groove. More energy than most ‘morning prog’. Great, great production/mastering. Subtle emotion and layering, no cheese. The kind of album you can play over and over. Great vibes. Loved the music! This one is very good, thank you for giving it away. I appreciate it. great i like it , a masterpiece!! New album just finished, ready for mastering. Can’t wait to get it out there. Thanks everyone for all the support.